Situated on the edge of the village of Blackawton with fantastic panoramic countryside views is the pretty Faith Cottage. Faith Cottage is a lovely family home, arranged over 2 floors, with planning permission for ancillary accommodation in the rear garden. The property has a sitting/dining room to the front of the cottage, with a wood burning stove at one end. There is a well equipped kitchen with access out to the enclosed rear garden. The property also has a study which is spacious enough to be used as a 4th bedroom. Faith Cottage has 2 double bedrooms at the front and a smaller bedroom and bathroom overlooking the rear garden. The garden offers a good degree of privacy, having farmland around it. Planning permission is in place to create ancillary accommodation which would be an ideal bolt hole for teenagers or grandparents alike. 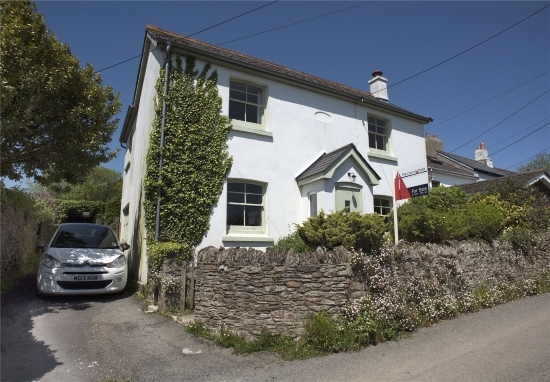 Faith Cottage is offered for sale at £475,000. For further information please contact Marchand Petit’s Dartmouth office on 01803 839190, email dartmouth@marchandpetit.co.uk.